These fun and light earrings feature gold plated links that come originally from a vintage Spanish bracelet. 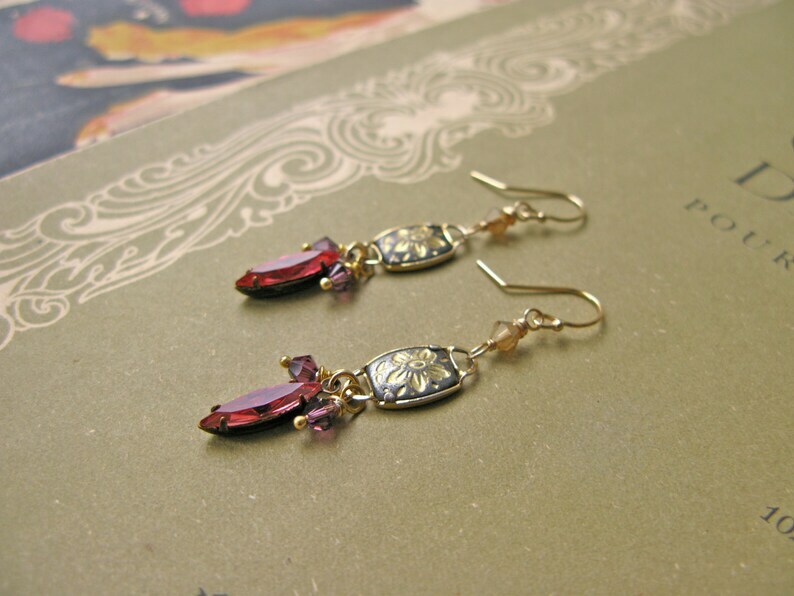 Also featuring rasberry red vintage glass jewels in brass settings, amethyst lilac swarovski crystals and golden preciosa crystals. All wrapped together with gold fill rings and wire, hooks also nickel free gold fill. Handmade with love and care in my little studio in Helsinki, from great quality vintage and new materials!